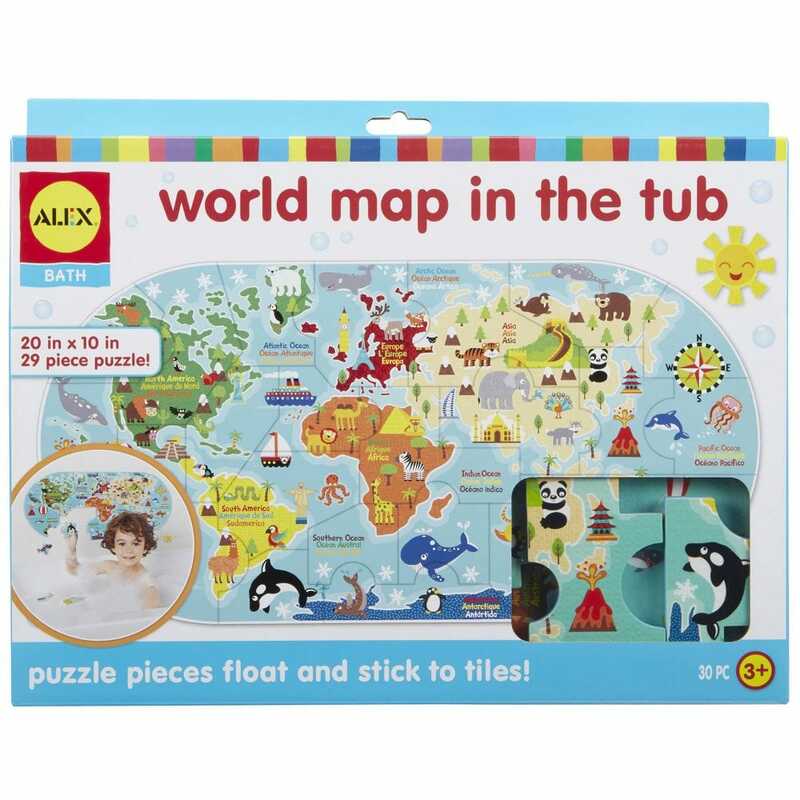 It's geography class in the bath, have great fun learning about the world with animals and fun landmarks. The foam puzzle pieces float and stick to the wall when wet and the colourful pieces are perfect size for small hands. The set comes complete with a mesh storage bag. Our grandson had this for his 4th birthday. He loves it. Lots to talk about when doing the map.